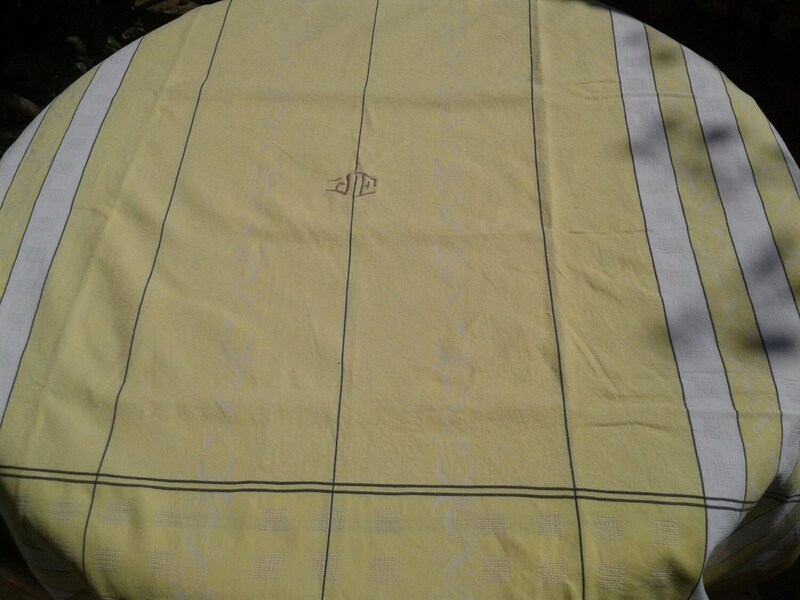 Long 1930 French Tablecloth with embroidered monogram. 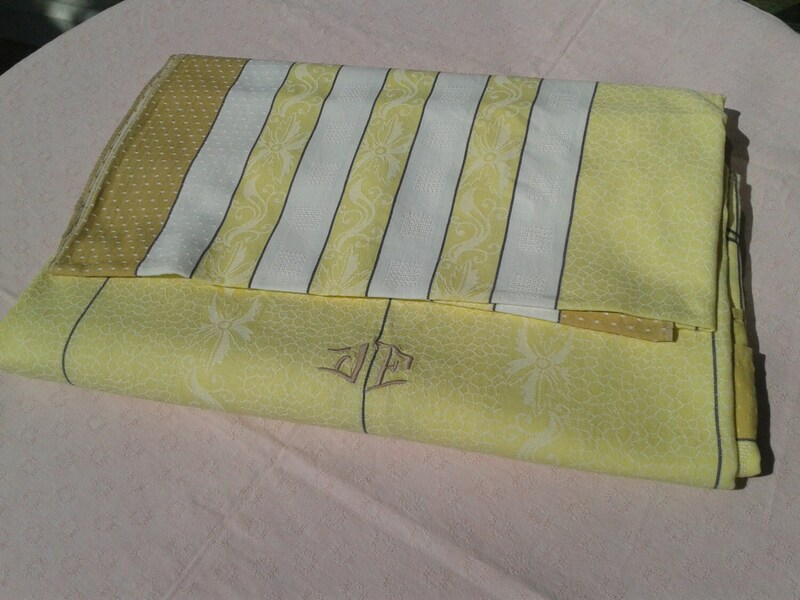 10/12 Persons. 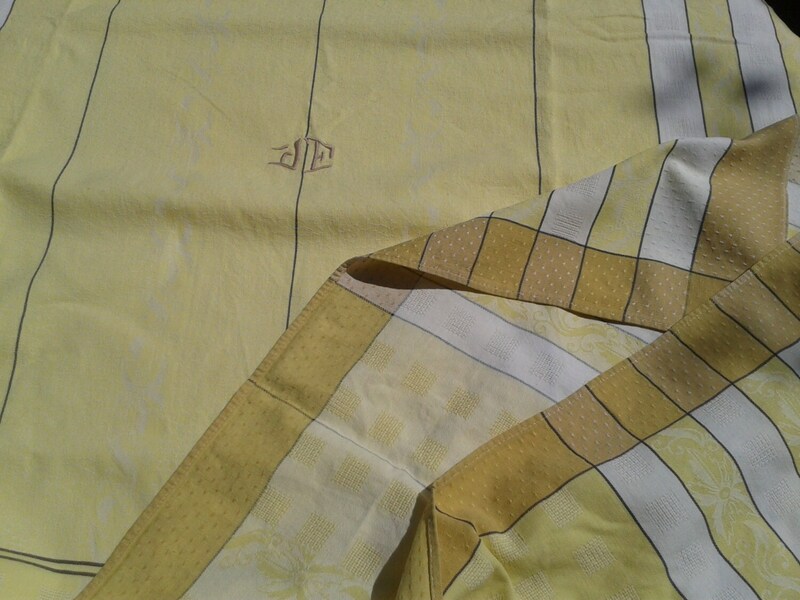 Made of high quality damask cotton with stripes, checkered. 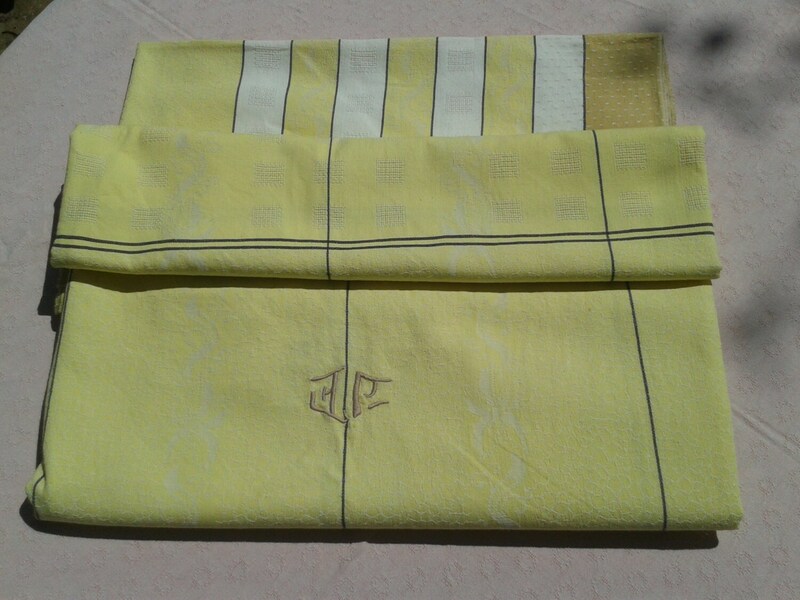 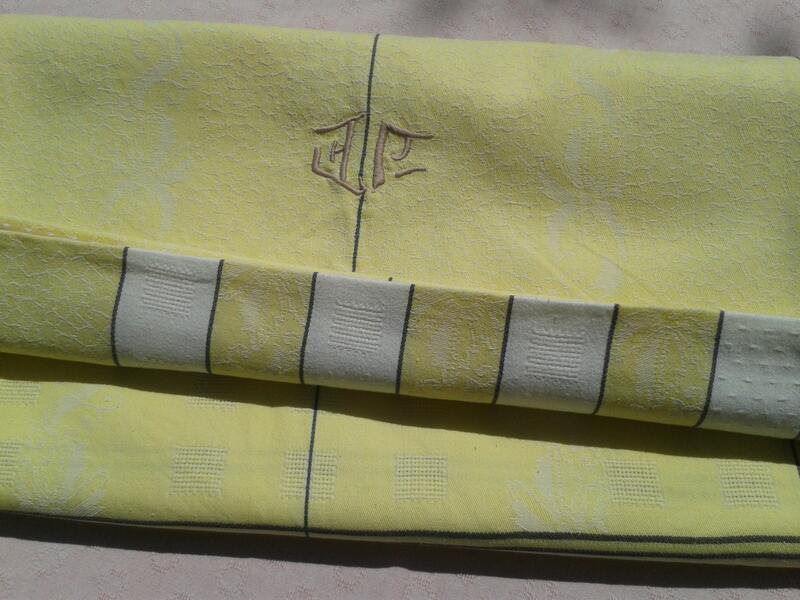 Gorgeous yellow damask tablecloth !